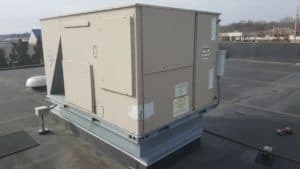 If you’re leasing a building and can’t provide documentation that maintenance was being done to your heating and cooling equipment you might be responsible for all repairs and or new equipment. Our maintenance programs are custom designed to meet the needs of each one of our commercial customers. The technicians at Heartland Quality Heating and Cooling are equipped with the training and state of the art tools to properly diagnose, service and maintain your commercial heating and cooling equipment.